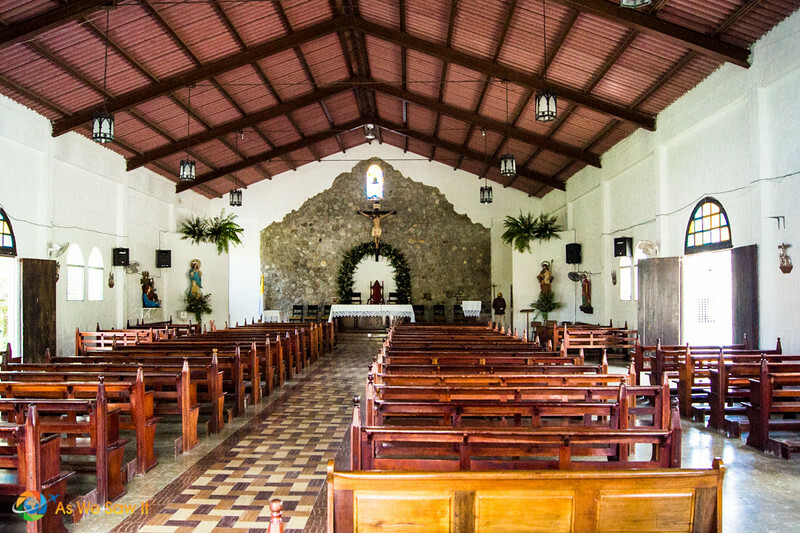 El Valle de Anton is a small town located in the heart of Panama. Also known as Anton Valley, you'll find this mountain getaway tucked in the bottom of the crater of a dormant volcano and surrounded by an enchanting cloud forest. If you're looking for things to do in El Valle de Anton, you will not be disappointed by the many activities on offer. Public transportation. Panama's bus system is impressive. This website will help you figure out how to get to El Valle from wherever you are. Keep in mind that local buses make more stops and thus your trip will take longer. Uber. You may not find an Uber driver in El Valle, but some drivers will take you there from Panama City. We've had bad experiences with taxi drivers, so we use it whenever we can. If you aren’t using the app yet, download it now. Register with the code danb2984 to get up to $5 off your first ride. Rental car. To make the most of your time in Panama, consider renting a car to get around. Click here to compare prices. Once you're in town, many of El valle's attractions are within walking distance. For things that are further away, you can hire a bicycle very easily and cycle your way around. Whether you are hoping to stay in El Valle itself, or you’re going to stay in Panama and make El Valle de Anton a day trip, you can find the best places to stay using Hotels Combined. It's a one-stop shop for all the major hotel search engines, so it saves both money and time. Depending on your budget, we can personally recommend both Los Mandarinos and Cabanas Potosi. Read on for more on Hostal Orquidea, an inexpensive hostel option. If you’re visiting this quaint town, you can expect to be enthralled by the immense natural beauty that surrounds it. 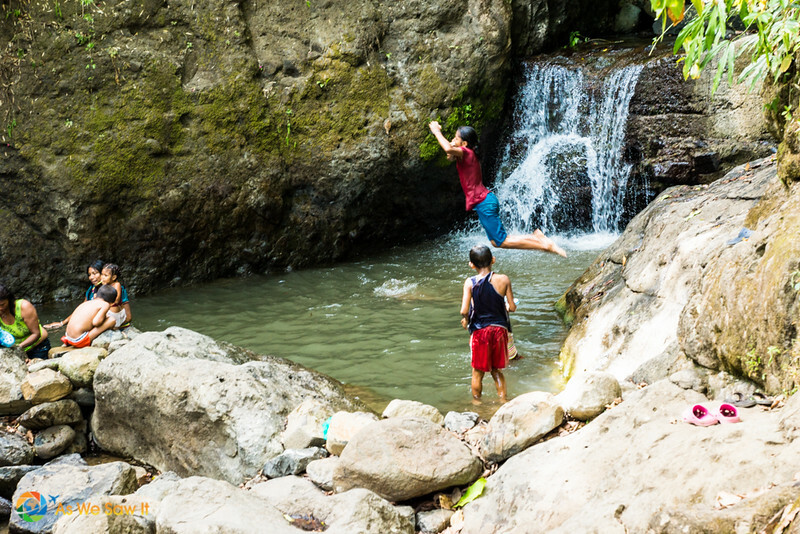 From gorgeous hiking trails to picnics at a waterfall, you’ll likely not spend much time indoors when visiting El Valle de Anton. This town is perfect to spend a few days in, and makes the ultimate day trip from Panama City, although with so many things to do, you may want to make it a weekend trip instead. La India Dormida, or “the sleeping indian girl,” is a mountain visible from El Valle de Anton. It looks like a girl lying down, and as you'd expect, there's a legend attached to it. The story takes place in the days when the Spanish conquistadors were battling the native Panamanian tribes. Luba, the youngest daughter of the tribal leader, fell in love with a Spanish official who lived in the town. Chief Urraca tried to get his daughter to marry Yaravi, a brave warrior from the tribe, but she refused. Yaravi couldn’t handle this and took his own life, throwing himself off of a mountain as Luba stared on, horrified. She walked through mountains and valleys crying in despair, until she finally died and the mountains covered her. While it’s a magnificent sight to behold from a distance, many believe that it is even better to climb it. You need to make sure you’re ready for a real hike, though, as the trail up is not marked in some places and it gets steep. Whether you make it halfway or all the way up to the top of La India Dormida, or simply prefer to snap some photos from afar, this is likely to be one of the highlights of your trip. Entrance to the trail will cost you $3. If you are hiking before dawn, it may be wise to pay a local guide to take you up. After all, who wants to get lost? La India Dormida is a favorite El Valle hike. The hike to the summit takes about 45 minutes from the center of town. Just remember to bring something warm; it can be chilly in the cloud forest. You'll find this tiny, 3-room museum next to the town's Catholic church. It is full of thousand-year-old artifacts and is the best place to properly learn about El Valle’s rich history, as well as the dormant volcano it sits in. Pay a visit to the church and museum on a lazy afternoon; it’s the perfect stop off between activities, or just before a lunch stop. 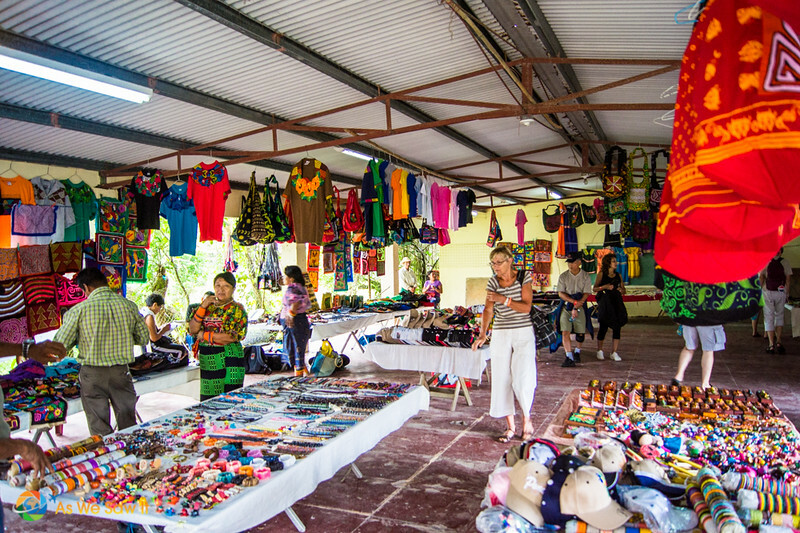 The local market in El Valle is where you’ll meet the residents of this town, enjoy some browsing and get to feast on local foods. Since this market is right in the center of the town, all other sights and attractions are easily accessible from here. It makes for a useful landmark, too. If you’re lucky enough to be visiting on a Sunday, you’ll see the market come alive – full of bright and colorful stalls, more sights and smells than your senses can manage, and a large crowd of families, couples and friends. 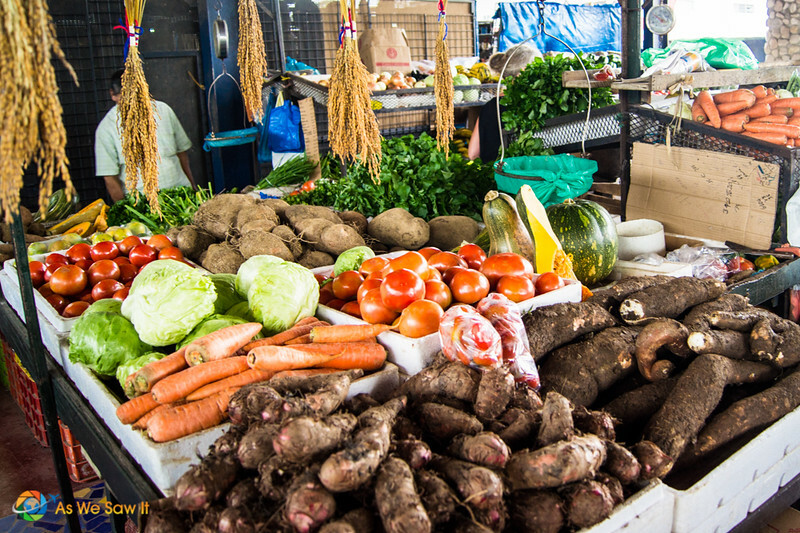 It's fun to shop for some high quality, low priced produce at the farmers market, or maybe pick up some local crafts from the souvenir market. 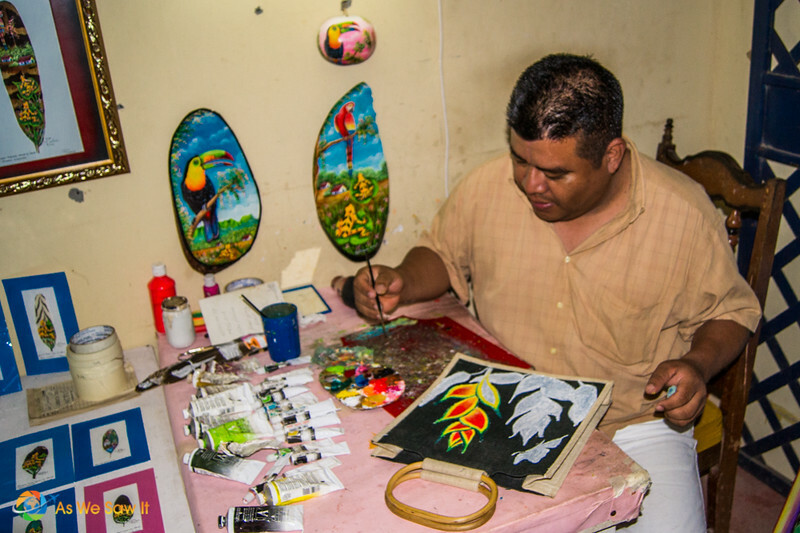 A 10-minute walk from the market, you’ll find the butterfly haven, El Mariposario. The haven is home to over 250 butterflies, which fly freely in their 1500 sq. ft flight house. They also have a selection of colorful birds, including hummingbirds, which hang out in the gardens. You can have a seat among the birds and enjoy their company while you’re there. 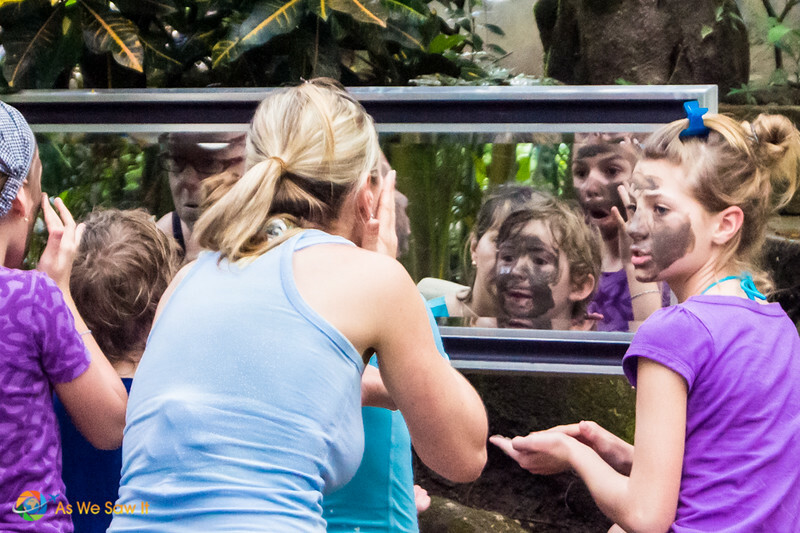 Tip: When visiting the center, be sure to take the tours showing the life cycle exhibit, as well as their rearing lab. The haven is open every day from 9:30 am – 4 pm and entrance is $5 per person. The Valley of the Square Trees can be found on the outskirts of El Valle. This is, quite literally, a spot where the trees have square trunks. Right-angled tree trunks are not found often, and the reason for these trees growing like that is unknown. Some think that it has to do with the condition of the soil after the last volcanic eruption. Others believe that the trees may have been grown inside square frames – causing them to grow in such a shape. A less-mysterious theory is that the trees are actually from a family of trees that occasionally take on a square-like shape naturally. To enter the forest that houses the Square trees, you will need to pay $3 to enter. Take it from us, this is not an amazing tourist destination. It is quite literally a forest with some unusual trees. The number of square trees is decreasing through the years, and the shape seems to be getting less square as they age as well. The forest is a fantastic walk, though, and if you pack a picnic lunch, this can be quite a relaxing outing. Mike and Deb Lunsford are the owners of this tiny, yet unique brewery. Mike started Crater’s Edge Brewery in the garage of his 2-acre property which overlooks the entire valley of El Valle, Panama. The brewery is a passion project for Mike, and he and Deb don’t make a profit from it. 25% of the proceeds go towards empowering communities around them, while the rest goes into making more beer. Tours and beer tastings are available at the cost of a donation. Make sure to call ahead, as they aren’t open always – and it is at their home, so be respectful of their privacy and space. Once you get time to go, though, you can look forward to a tour from Mike, showing off his incredible setup and how he makes the beers. Then, sit down to a chilled glass of beer. 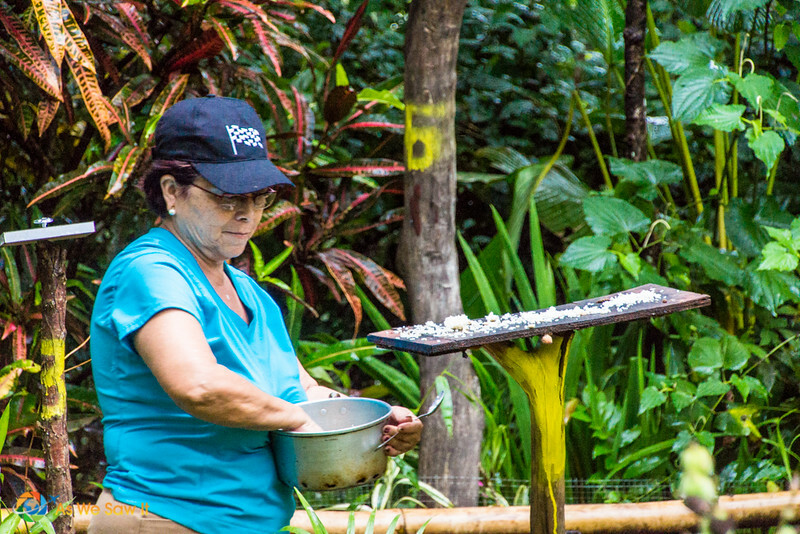 Take the opportunity while in the area, to learn from Frank Gruber, Panama’s local herbalist. He has more than 30 years’ worth of knowledge in medicinal plants and is happy to share this with others. He’ll take you out into the mountains and you’ll get to spend the day absorbing the wisdom that he willingly bestows. He also makes and sells products derived from natural ingredients. Contact him at botanicogruber@hotmail.com to book a tour. 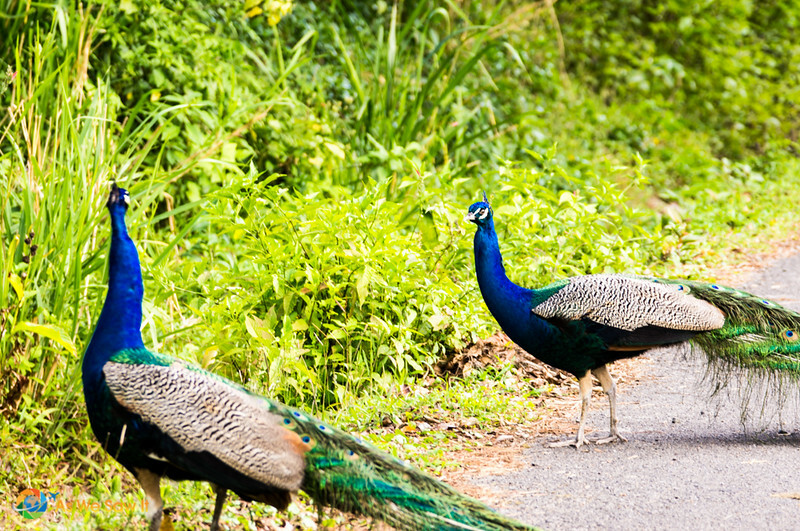 El Valle also has a “non-zoo” zoo called El Nispero Zoo and Botanical Garden. It was never intended to be a zoo, but it just turned out that way. Starting out as a plant nursery, the owners zoo started adopting and taking in animals. In time, other people donated animals, and now there is a large collection of zoo residents from all over the world. 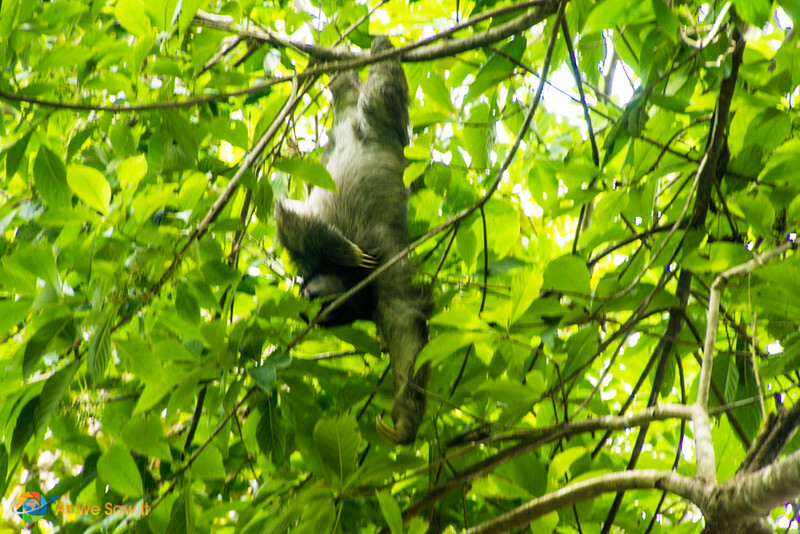 You can expect to see spider monkeys, toucans, sloths, and even jaguars roaming the grounds. El Nispero is within walking distance from the town center. It is open from 7 am to 5 pm. Admisison is $5 per person. The Centro de Conservación de Anfibios is a rescue center for amphibians in Anton Valley. The star of the center is La Rana Dorada, the Golden Frog, The endangered golden frog is only found in Panama and is the national symbol for conservation. Admission to the center is free since it is inside the zoo’s grounds. After all, you already paid to enter the zoo, right? Viviana Schiffer is a local resident of Anton Valley, who has turned part of her own home in a laboratory, where she creates natural and organic soaps and skincare. Her business, Alchemia Panama, was started in 2011, and Vivi (as she is affectionately known) has continued to provide both locals and visitors to her town with all-natural skincare options. You can visit Vivi and hear more about her business. A short 5-minute walk from the town market will have you promptly at her door – although be sure to check if she’s in first. Take a tour through the lab and learn how she makes her products. Then, pick out your own choices of products and take them home with you to try out. For a dollar (yes, just $1!) you can visit the snake park, which has 14 snakes on view. This small yet extremely educational spot is great for snake-lovers and anyone who wants to snap a selfie with a Boa Constrictor. 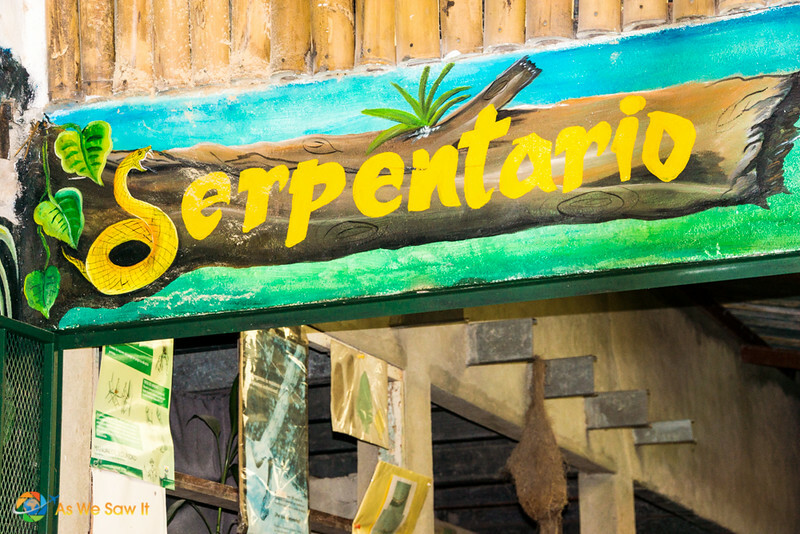 El Serpentario is dedicated to reptile conservation. Many of the snakes here are venomous, but they are handled with care by professionals. They even have dangerous snakes like the Fer-de-lance and Bushmaster, the ultimate pit vipers.This the perfect chance to come eye-to-eye with them safely. How about a beautiful walk through orchid gardens? APROVACA is a Spanish acronym for The Association of Orchid Producers in El Valle and Cabuya. 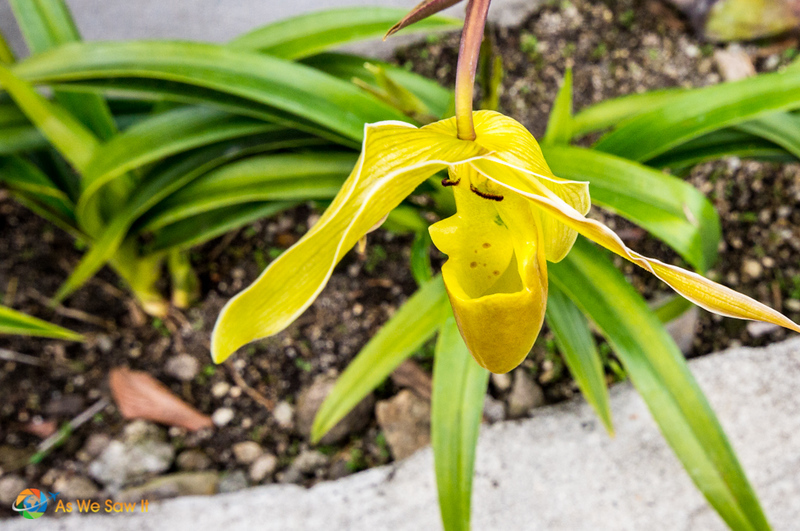 Their goal is to protect the many native Panamanian orchid species that are in danger of extinction. This is where to come to see the variety of orchids that grow wild in Panama. We like to take our guests here. They have some unusual ones. Panama’s national flower is the rare Holy Spirit Orchid, peristeria elata. It is much smaller than most usual orchids and blooms from July to October. Their colors are also fantastic to see. You can visit the center at a low cost of $2 per person. You could also stay the night at Hostal Orquidea – at an extra $12 per night. This money all goes to keeping the center open and running. Anton Valley is full of natural health and beauty products. There are also a couple of places you can go to rejuvenate, or simply to spoil your skin for a few hours. 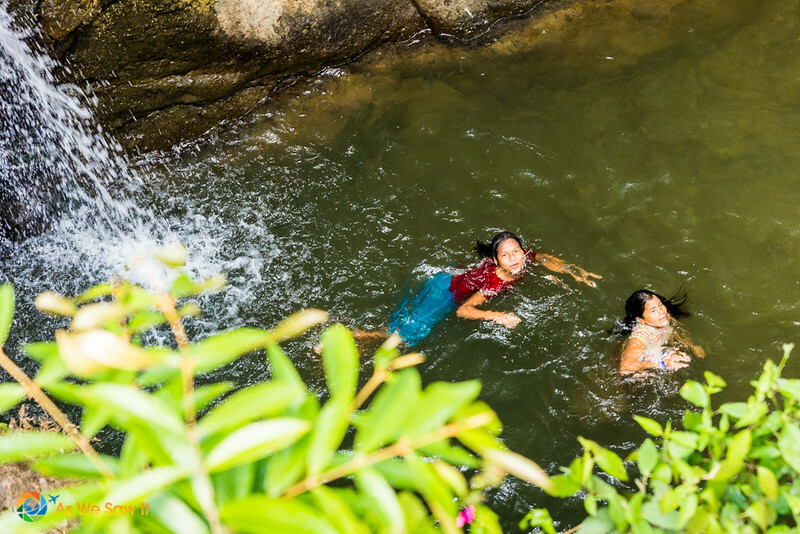 Hot Springs (Pozos Termales) – Pamper yourself a bit like the locals do, with a full-body exfoliation at the Hot Springs, Pozos Termales. For just $3 per person, you can enjoy an all-natural soak in the healing mineral waters, rub on some volcanic clay for an all-over body exfoliation, or just give yourself a clay facial. Your skin will thank you for this. The springs are open every day from 8 am to 5 pm. Cariguana spa – If you’re wanting to de-stress and enjoy some more luxurious downtime, you should head to Cariguana Spa. Enjoy a mix of massages, facials, Turkish baths, and even stress tests. There are so many hiking opportunities in Anton Valley, so be sure to remember your hiking boots! Aside from the aforementioned Sleeping Girl, here are some of the other popular trails. 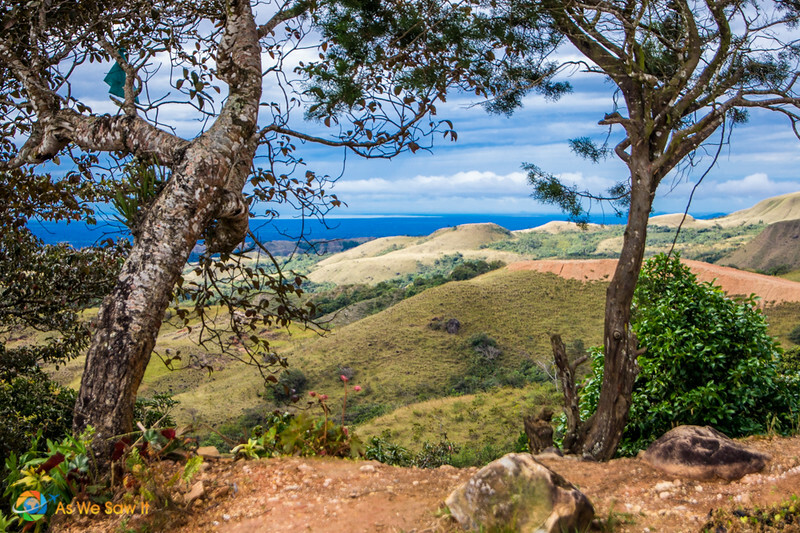 Cerro Turega – Hike this trail to reach the ‘three peaks’ at the top. The trail itself is a fantastic one, with a waterfall stop along the way. Once you reach the top, the views of the valley are unimaginable. Cerro Gaital – This is the most challenging hike you will find in Anton Valley, so make sure you’re wearing your best hiking boots. It’s not advised that you do it on your own unless you are an experienced hiker. The hike reaches heights of 1185 meters – the highest point found in the valley. Cerro Cara Iguana – An easier hike, this trail will also lead you to the perfect lookout point, giving you breathtaking views of the valley and surrounds. This can be done on your own, with a group, or if you prefer you can take a guide to show you the way. Cerro La Gaita – This is a beautiful hike, starting at the foot of the hill, you’ll walk up a slightly steep trail – watch out, the trail is primarily clay which is slippery, especially when it’s wet – until you reach a set of stairs. These stairs will take through dense forest areas, past splendid views, all the way up to a wooden platform. From there, you can see all the other amazing mountains in the valley. A visit to El Valle de Anton would not be complete without visiting at least one of their many natural waterfalls. Whether you combine it with a hike or opt for a romantic picnic at the bottom of one the falls, be sure to fit one – or all – of these into your itinerary. Lover’s Falls – These Falls get their name from the image of the two small waterfalls connecting together in one deep pool of water. A short, yet rocky hike up will bring you to the Lover’s Falls, where you can enjoy a refreshing swim. Chorro El Macho Falls – Hiking up to this waterfall is a relatively easy task – worth any trouble at the end. Once at the falls, you can try out ziplining, which is great fun and has a great view. 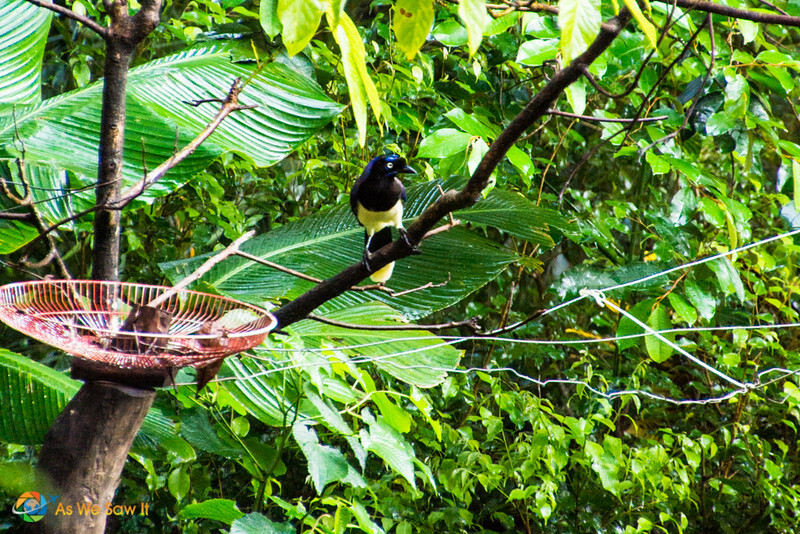 Panama has nearly 1000 species of birds and the cloud forest surrounding El Valle is a perfect habitat for them. Whether in the mountains or in town, keep your eyes peeled. As you walk about early in the morning or late in the day, you'll be amazed at what you'll see and hear. Okay, we'll confess that that's why we liked to stay at Cabanas Potosi. Our hostess loved filling her many bird feeders and watching all the birds visit. It was fun to stay put and watch the birds come to us. As you can see, the town of El Valle de Anton is a hub of natural wonders, entrepreneurial spirit and a host of activities to keep visitors busy during the day. 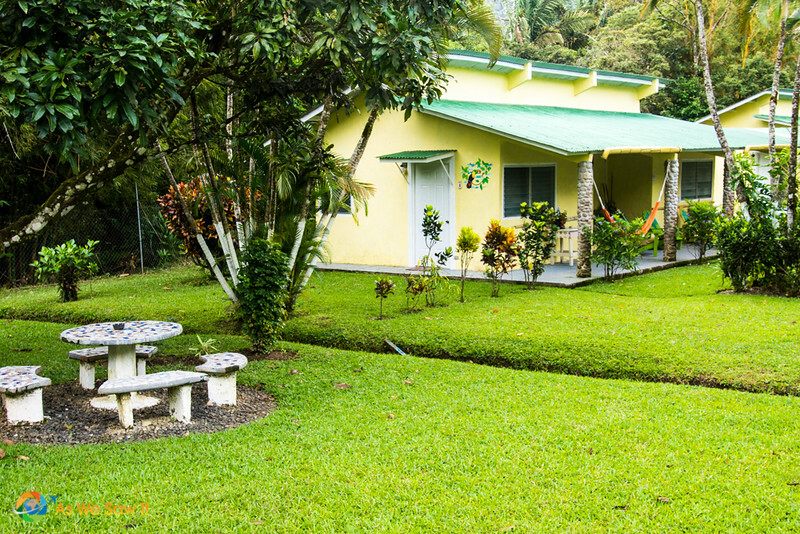 We’re sure you will find El Valle to be the perfect weekend getaway from Panama City. 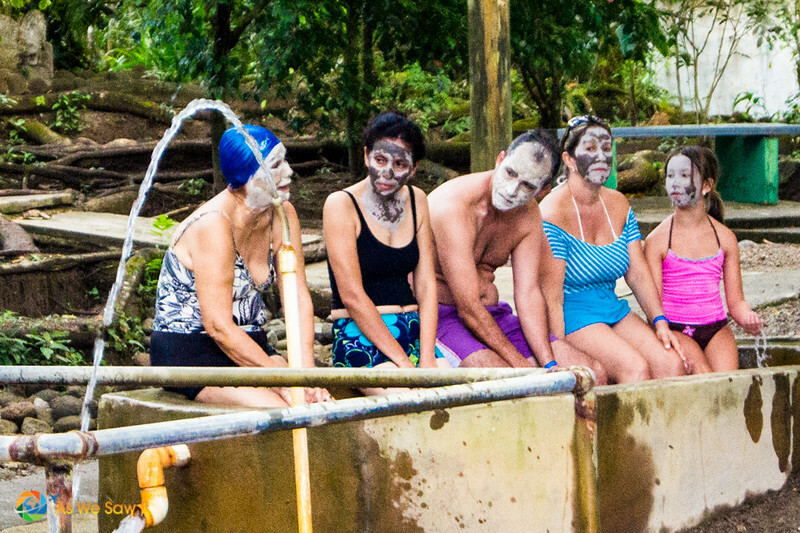 Whether you’re looking for adventurous activities, such as hiking and exploring mountains and forests, or quieter, more relaxing options like giving yourself a mud facial at the hot springs, you are bound to enjoy your time in El Valle de Anton, Panama. Tourism authority: You can use the Panama tourism site to get any information you still need before embarking on your trip. Visas. Project Visa has an easy-to-use tool that will tell you if you are eligible for Visa on Arrival (VOA). We find xe.com to be the best when trying to calculate the currency rates. Travel insurance. Wherever you are traveling to, travel insurance is more important than you think. Learn more here. Guided tours can be a great option, whether you want a local to show you around, or you’d prefer to have someone else manage all the arrangements. For longer trips, we recommend both GAdventures and Intrepid Travel. Organized tours—G Adventures offers insanely affordable small group tours on all 7 continents. 100% guaranteed departures, even if you’re the only traveler. Expect local accommodation, cuisine, and transport to connect you with the planet’s people, cultures, landscapes and wildlife. Click here to look at their itineraries. They even have a Panama itinerary that visits El Valle de Anton! Day trips and excursions—When we travel, we use Get Your Guide a It’s our go-to for food tours, attractions and activities. Click here to see what's available in Panama. 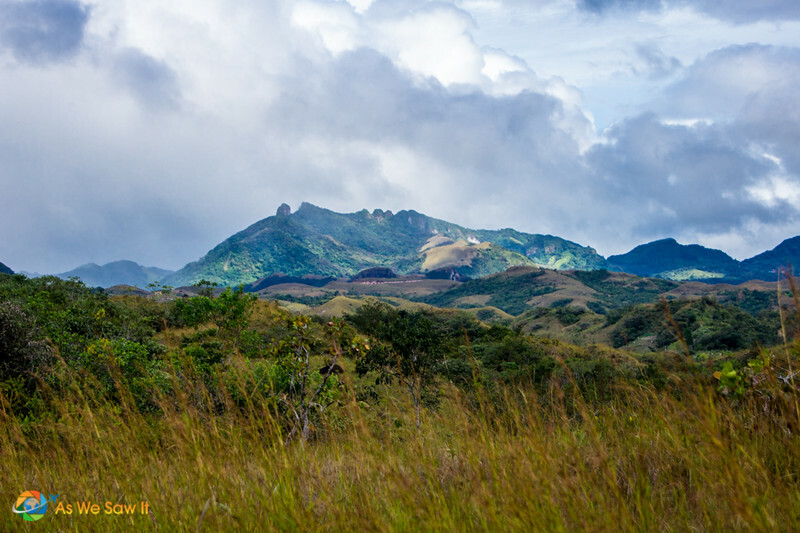 Need more information on El Valle de Anton, and Panama in general? We’ve written a whole series on Panama that you can read here. Also have a look at some of the links below. Want to see more of this destination? 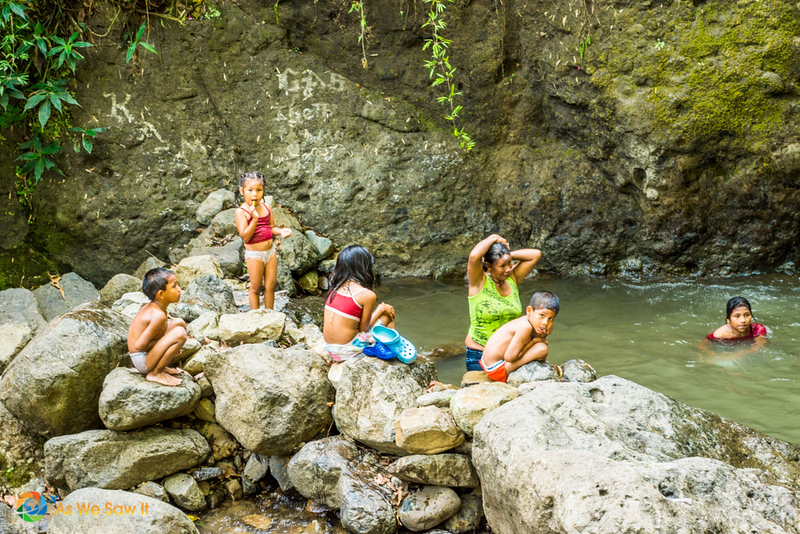 For more sightseeing, check out our El Valle photo gallery. Not sure if you got the first comment. I wrote that I want to go swimming. Or perhaps, I’d try the clay masks. At any rate, it’s beautiful. Thanks for the virtual tour of Panama. Laurie, I owe you a HUGE apology. I just discovered your comments. Apparently my security program has been doing weird stuff and routed a slew of comments to Trash, a folder I never bother to check. What’s worse, I’m baffled as to why. If you comment here again, don’t worry because I plan to monitor Trash from now on! If I were there, I’d go swimming, I think. Or maybe try the clay masks. Your photography is beautiful. It reminds me of Honduras, where I lived for nearly a decade. Thanks for the virtual trip to Panama! 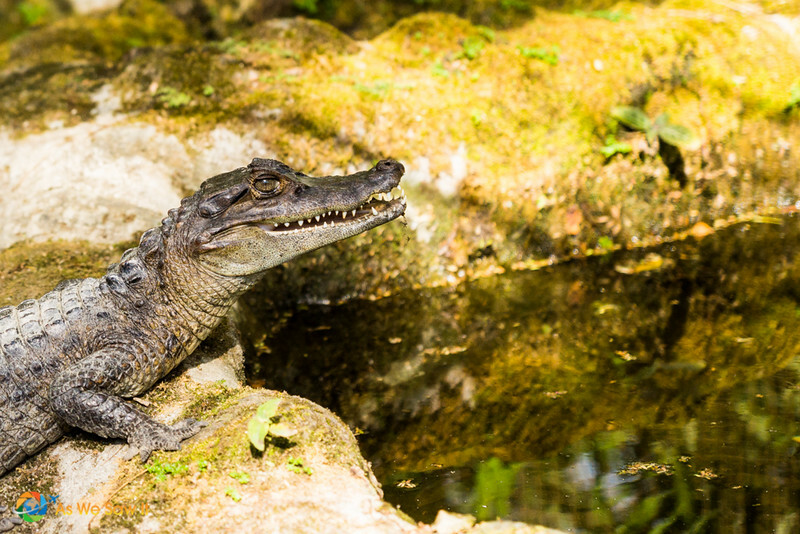 We’ve only been to Roatan for one day, on a cruise, so all we got to experience was Gumbalimbo park. I bet you have a whole lot of good stories to share. Wow! So much to do here! We would love it all 🙂 from the volcanic clay, hotpsrings, market, swimming, wildlife, definitely need a few days here! Samiya, You are so right, there is a bunch to do and a few days would work. Just sitting around and watching nature happen is a big things to do. We didn’t go into the food, but it is great as well. Thanks for your comments. Enjoy! Beautiful place. I don’t know if I would be interested in the healing powers of the volcanic clay. It looks sort of gross to paint your body with that mud, but I know people go crazy over that kind of stuff. I would however love to visit the hot springs. After we left we learned that there are even more hot springs near Boquete in western Panama. It would be fun to go and then compare the two. Oh my! What a beautiful place! You’ve done an excellent job of capturing it! Thank you for sharing it with us at Photo Friday! Thanks for the compliment, Jen. There really are so many choices in El Valle de Anton. I think that I would enjoy the clay and some shopping. Snakes scare me, so I’d stay far away from the reptile farm. No worries, Michele, you could stay outside with the turtles and let everyone else go inside where the snake aquariums are. Anyway, even if your kids ever managed to talk you into taking them, the secret is that the reptile farm is rarely open. We do, too, Dr. J. 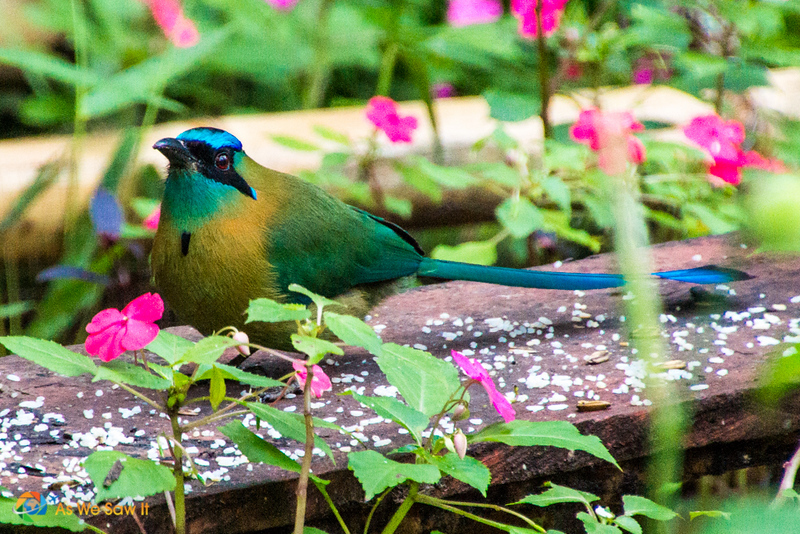 Even though we’re not avid birdwatchers, catching sight of a brilliant bird was one of our favorite pastimes in Panama. This looks like an incredible place! I love the idea of an unintentional zoo. Haha – talk about random! The large zoo was an unexpected surprise, especially considering how small the town is. We were wondering how they can afford to feed all the beasts.